The final T20I between India and West Indies will be played in Chennai on November 11. India has already won the T20I series against the West Indies after their 71-run win in Lucknow in the second T20I. Now the caravan moves to Chennai where the 3rd T20I will be played on November 11 after a long Diwali break. Before the hostilities resume in the final face-off between the two teams, Team COC brings to you the Predicted Team India XI for the last T20I. Indian openers set up the match for India with a 123-run partnership with Rohit Sharma going on to score a world record fourth T20I ton and ending up on 111*. With the series in the bag, he might be partnered with KL Rahul at the top, since Shikhar Dhawan has only played cameos in the series so far and Rahul might be able to play his natural game at the top. Though Rishabh Pant has failed to get going in the two matches so far, Indian team must stick with him at the top and partner him, Shreyas Iyer might be brought back into the playing XI. Manish Pandey and Dinesh Karthik are more or less expected to keep their places in the playing XI for the third T20I match. Indian team management might be also tempted to rest their frontline spinners and give chances to Washington Sundar, Shahbaz Nadeem in place of Kuldeep and Krunal, who have brilliantly done their job. Yuzvendra Chahal has been warming the bench since the end of ODI series and this might be the best time to give him a chance before the Australia T20I series. 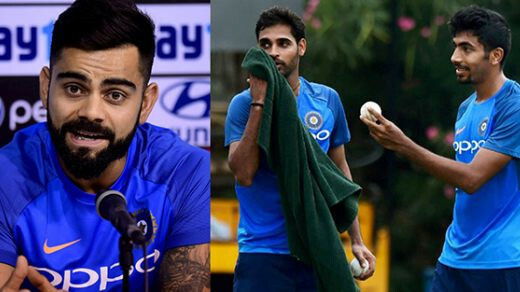 Bumrah has also been instrumental in India winning the series and as a measure of managing the workload, he might be rested with Bhuvneshwar Kumar and Khaleel Ahmed shouldering the fast bowling responsibilities for the final T20I. Given the Chennai pitch which has been a heaven for spinners, two fast bowlers will be the best bet to be fielded.